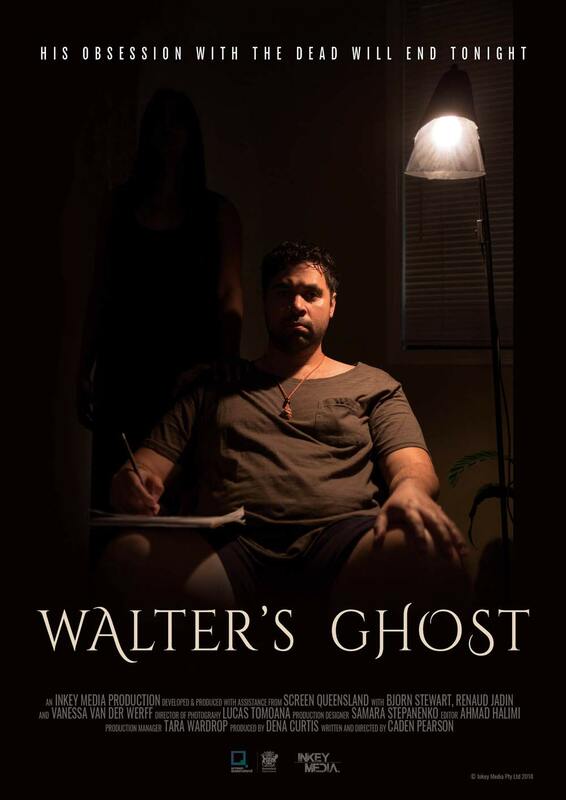 One night Walter, a grieving son with untrained clairvoyant abilities, wakes to find a dark apparition in his living room, attracted by the grieving energy of Walter and his father. In an attempt to understand the spirit’s presence Walter tests his clairvoyant skills, only to find it intensifies her dark energy. In the end, Walter realises that he and his dad must embrace life now and not dwell on the past. Finding the courage to reach out to his father, Walter makes a positive step towards his new life. GENRE | 11 min Short Drama WRITER AND DIRECTOR | Caden Pearson PRODUCER | Dena Curtis STATUS | Completed 2018. Developed and Produced with assistance from Screen Queensland.